Get the Air Out: Our new Flat Packs™ are perfect for the traveler who wants to organize — and compress — their belongings for more efficient packing. 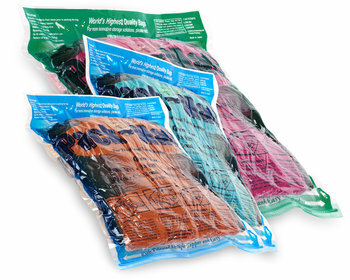 Great Combo: Our Flat Pack™ 3-Pack includes one large and two medium bags — the perfect combination for most trips. Best Value: This set costs less than three Flat Packs™ purchased separately. Dimensions: Large: 27 ½" x 18" Medium: 19 ½" x 14"